Andrew Baldwin | I.K International Publishing House Pvt. 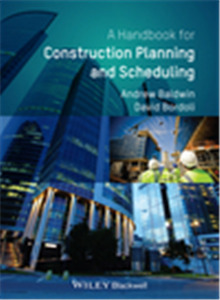 Ltd.
Andrew Baldwin, BSc(Hons), MSc, PhD, CEng, FICE, Eur Ing, has extensive construction industry and academic experience. Following a career in the civil engineering and construction industries that included planning and scheduling for a number of major construction projects, he commenced an academic career at Loughborough University, UK, where he is now Emeritus Professor in Construction Management. He is also a Distinguished Visiting Professor at Chongqing University, China, where he is a Co-Director of the National Centre for International Research of Low-Carbon and Green Buildings, a position funded under the national ‘One Thousand Experts’ programme.